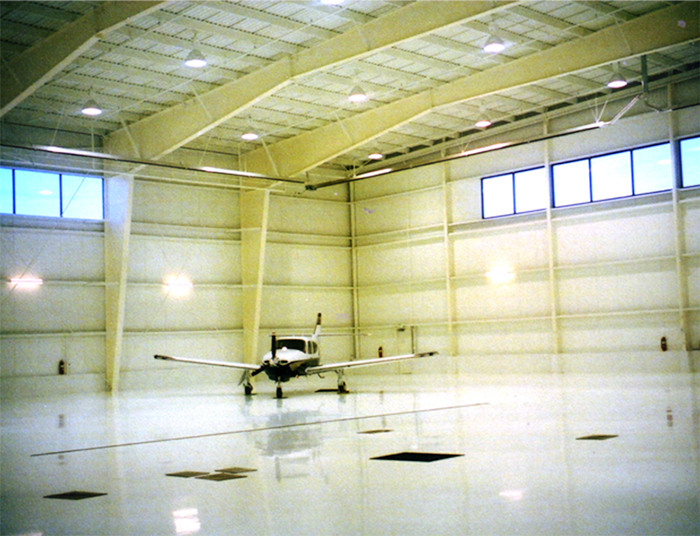 Our Airplane Hangars are designed around your individual needs. When using a bi-fold door the header height and the building height are determined by the clearance needed under the open bi-fold door. You simply specify the width of the opening and the minimum clearance under the fully opened door. You can have multiple or single openings that can be centered or offset and located in the endwall or the sidewall. We offer Hangars with Bi-Fold, Hydro – Swing, or Pocket doors, you can have your choice. We can supply you with the complete package including the hangar door. If you would like to supply your own door, just choose the door style and we will design the building to accomodate it. We offer the most Energy Efficient Metal Buildings in the industry.